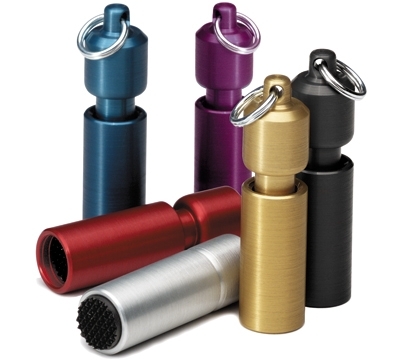 PrikStik is made of lightweight hand-tooled aluminum and hardened alloy. Simply twist to expose the tool head, no parts to get lost or damaged. This tool is designed to scuff the cue tip, allowing chalk to adhere. The resulting benefit is reduced miscues and better cue ball control. Choose from black, blue, gold, red, silver, or purple.